Evelyn got new wellies today. Good thing, too. 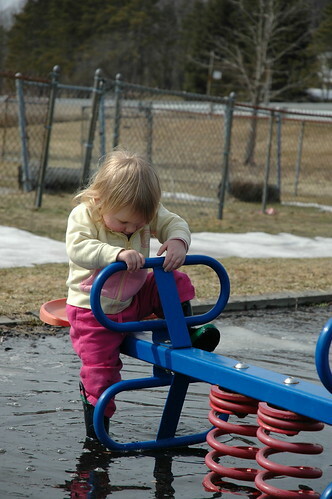 Otherwise we wouldn’t have been able to go to the playground.